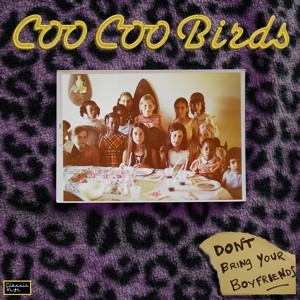 From "Don't Bring Your Boyfriends" LP by Coo Coo Birds. Recorded at Radical Sound Studios, SF, 2012. Featuring Steve McKay of the Stooges on Sax. Mastered by Paul Oldham. Coo Coo Bird: 1) n. A species of Rock n’ Roll animal, discovered in 2012 A.D., characterized by savage and loud behaviors know to incite frenzy in neighboring populations. 2) n. The natural enemy of human mothers and boyfriends. Find and Like Coo Coo Birds on Facebook... to keep up w/ shows, new releases, pod casts and videos.